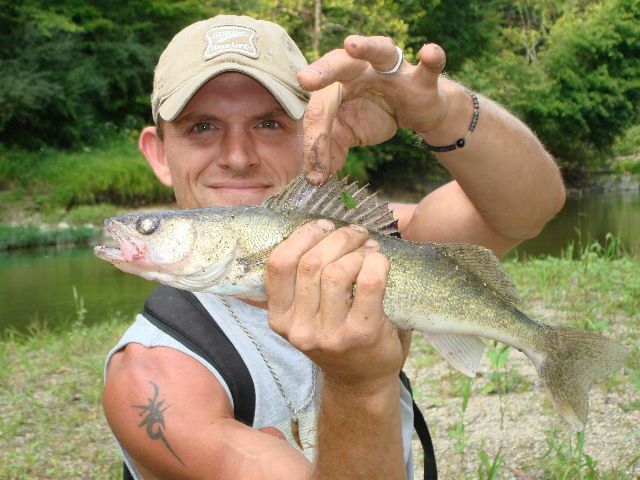 Saugeye, is a cross between a Sauger and a Walleye. Saugeye are produced artificially interbreeding male sauger and female walleye. Saugeye have some features of both parent species. Identified by two things main features, the lower portion of tail is light and rear portion of dorsal has the black spot. Also blotches don't look quite as distinct on the body as one would expect on a sauger.